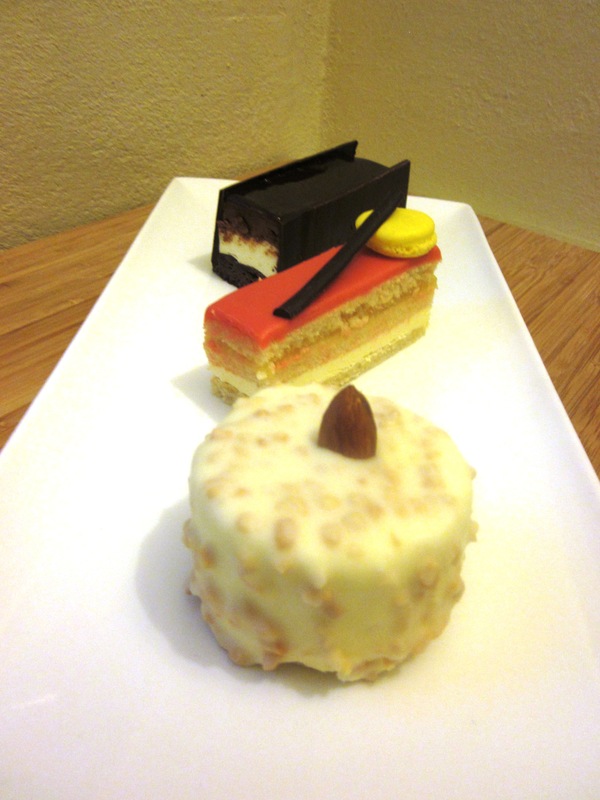 The Sweet Artist Academy is run by Patrick Vuaillat with a number of one day courses available on weekdays or weekends including chocolate work, sugar work, pastries, cakes, bread, cake decorating, macarons and even more. 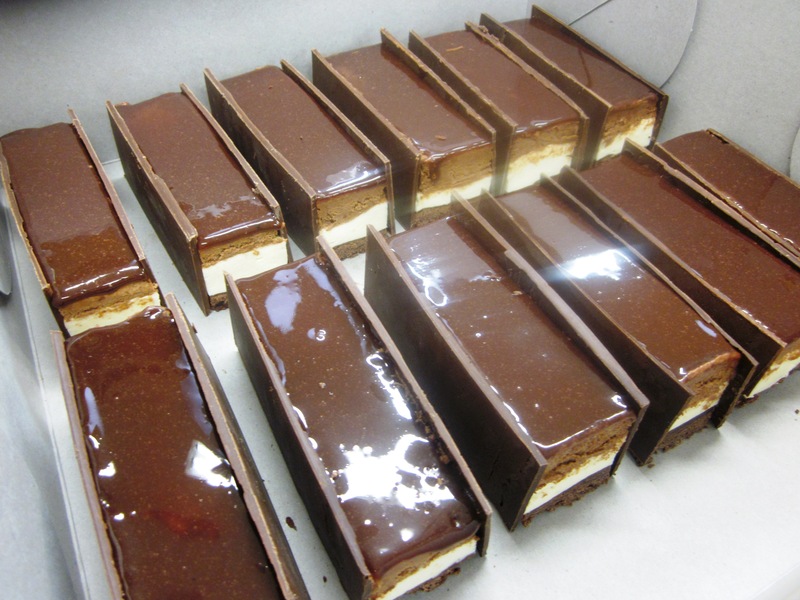 Patrick, originally from France and with over 35 years in the pastry industry, started an apprenticeship in pastry at the age of 15 and has worked as a pastry chef all over the world before falling in love with Perth and starting his on patisserie which he ran for 16 years before setting up the Sweet Artist Academy. Loving baking and patisserie as I do, I was thrilled to find someone with so much experience offering classes in Perth and was really looking forward to my class. I attended the New Trend: Individual Cake class where we learnt to make three different cakes that you would expect to find in a patisserie in France, using a number of different techniques and layers in each cake. This is apparently the most technical of the baking classes Patrick runs at the moment, so I certainly jumped into the deep end. However each step of the cakes was broken down into manageable taska and although it is a full on day, the end results and the reactions from people who saw and tasted the final cakes and the skills I have learnt mean that it was definitely worth it. It was also a very good class size with only six students in the class. The kitchen is set up really well, with individual work stations for each student and all the ingredients under the bench. Patrick ensures everyone has completed each element before moving on to the next and he has a very knowledgeable but friendly and approachable teaching style, with a little bit of joking thrown in. 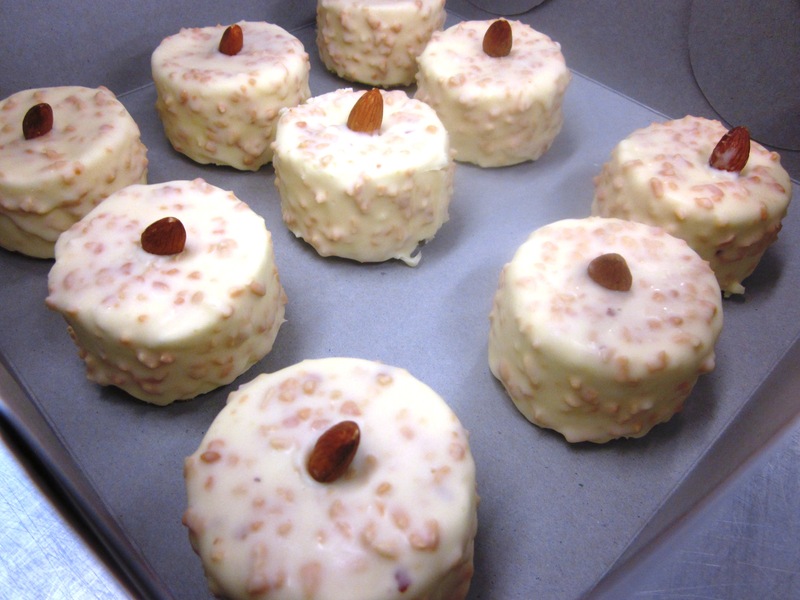 We made three cakes, the first of which was a round fruit charlotte which comprised layers of biscuit joconde (an almond sponge), a fruit compote/jelly (in this case made with apricot) and a chantilly cream, coated in a white chocolate and almond coating. This was rich and light at the same time, with the creaminess of the chantilly, the fresh fruit filling and a nuttiness from the coating and sponge. For the chocolate lovers there was also chocolate and lemon cake, which included a chocolate shortbread base, lemon cream and a chocolate mouse, finished with a chocolate glaze and chocolate wafers. Anyone who has read my blog before will know that I am not that fond of chocolate, so I wasn’t expecting to like this cake. However the addition of the lemon cream added a lovely freshness to the rich bitter chocolate, and I was surprised to find that I really liked this cake. 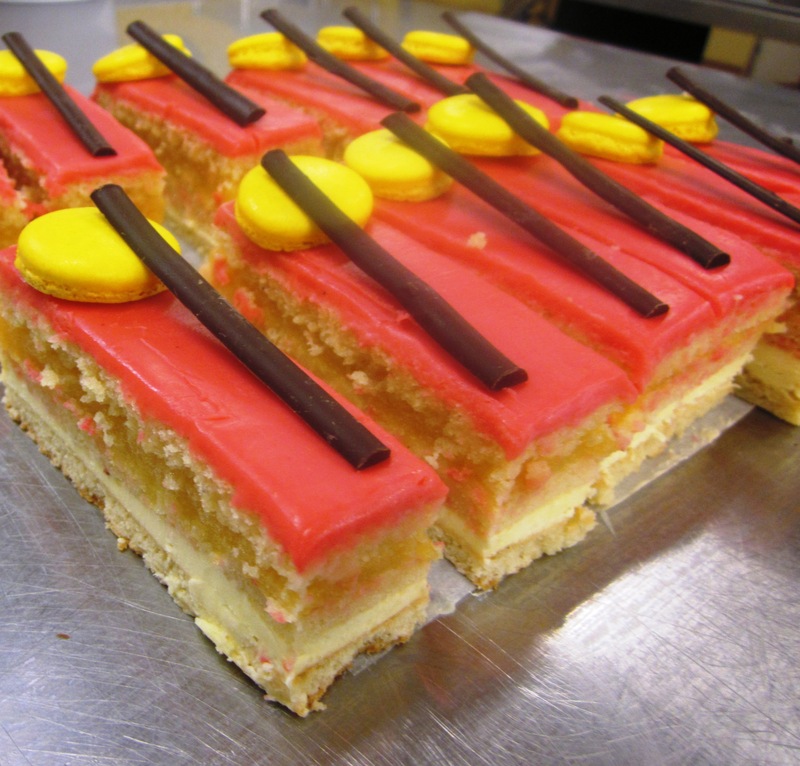 Finally we made a raspberry and apricot opera cake. This also used the biscuit joconde and fruit compote/jelly as well as a butter cream and a raspberry cream/ganache on top. I found this one a little sweet for me and would like to make it at home using raspberry in the compote instead of the apricot to add a bit more tartness, and some citrus in the butter cream. But this is just me being picky now as it was also delicious and looked amazing. It was a very full and challenging day of baking but one I really enjoyed. At the end of the day I got to take home three boxes of cakes, an apron, recipe booklet, a certificate and a lot more knowledge and confidence to try similar cakes at home. 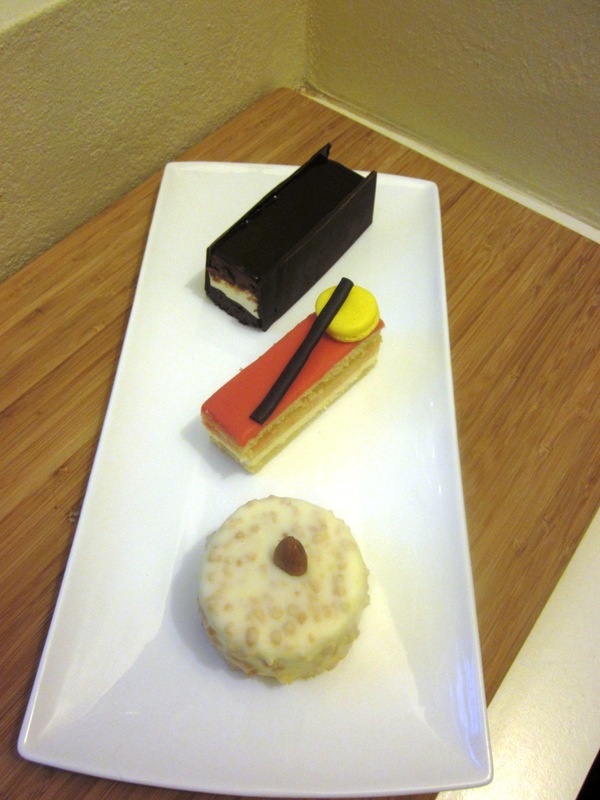 I would highly recommend Patrick’s classes to anyone wanting to learn more about baking and patisserie. Next on my wish list to attend are the sugar pulling class and the assorted pastries (danishes, brioche and croissant) class. While I have made both danish pastry and croissants at home, I would love to pick up some tips and tricks. And brioche is one of my favourite things to eat when I am in France. It might be a bit dangerous learning how to make it myself! That will have to be later this year though once my musical is finished, giving me something more to look forward to!